A little hard work on a writing piece really pays off when you are chosen to attend the Young Authors Conference at UW-Sauk County! Students were treated to several performances by author and performer Anne Horjus and participated in writing classes throughout the day to improve their craft. Students from 13 different school districts participated in this event. 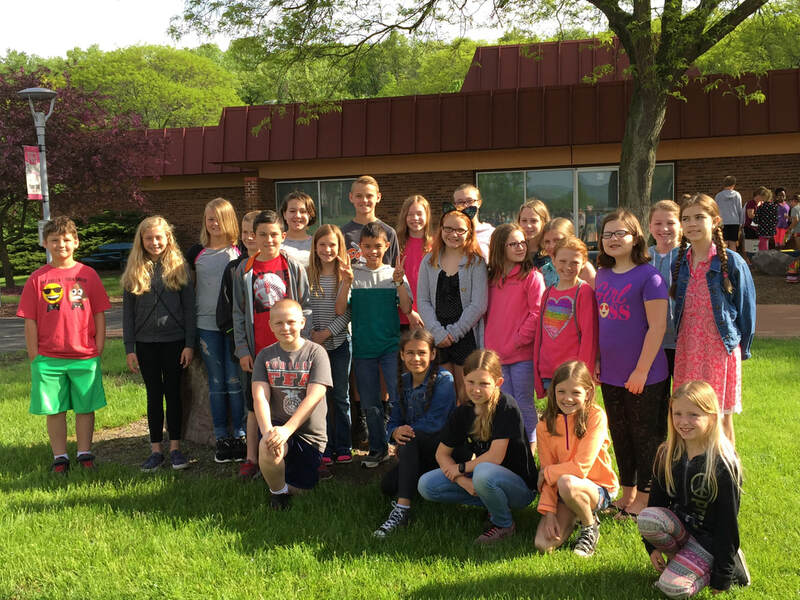 ​Portage Students: Landon K, Alana B, Bailey S, Everett S, Gabby D, Maxwell J, Skylar K, Nahdia H, Haley R, Natalie B, Trenton J, Jackie S, Caiden D, Brooklynn S, Riley P, Ally S, Ava B, Emma O, Abi B, Kaden K, Olivia G, Samantha W, Lexi M.